Program: Lighthouse Keeper Grave Marker – Chesapeake Chapter U.S.L.H.S. 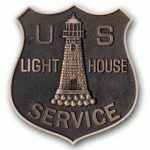 The Lighthouse Keeper Grave Marker program was begun in Maine by Tim Harrison of Lighthouse Digest. The goal of the program is to honor the keepers (both civilian and U.S. Coast Guard) who diligently kept the lights burning. The Chesapeake Chapter is one of many organizations around the country which has decided to join this effort and honor those men and women who served in the Chesapeake Bay area. Prior to any ceremony, next of kin is identified and contacted for permission to place the marker on the keeper’s grave. All living relatives are invited to the ceremony and encouraged to participate. Anyone who wishes to nominate a past keeper for this honor may fill out a Grave Marker Request form and submit it to the Chapter. This program is currently funded by an annual budget allocation of $1,000. The Chapter would like to recognize Betty Collins, Greg Krawczyk, Tony Pasek and Hobie Statzer for their contributions to this effort.